(Optional): For the cream cheese swirls, you'll need 2 oz. of cream cheese, 1.5 tbsp of sweetened condensed milk, and a few drops of vanilla extract. 1. Preheat oven to 350 degrees F. Cream the butter and sugar for the shortbread in a bowl. Then add the flour and salt, mixing until a sticky dough forms. 2. 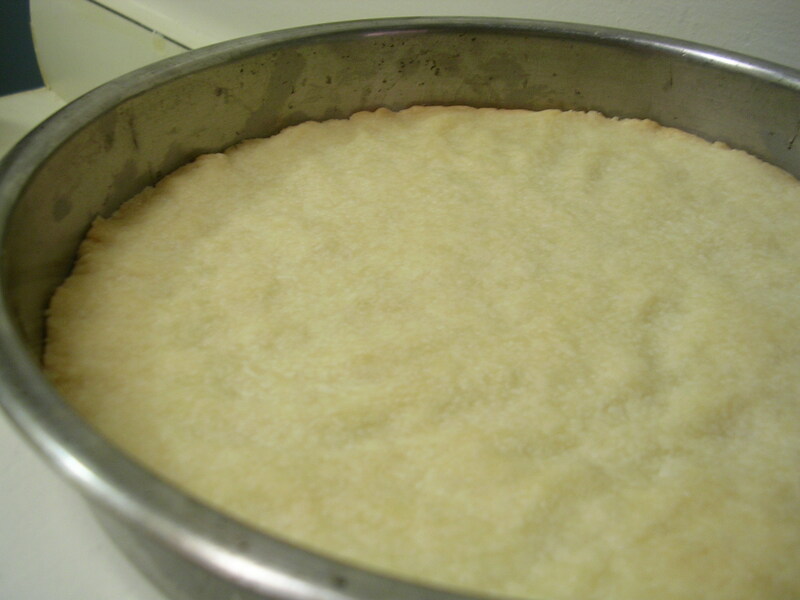 Press shortbread dough into an 8×8" pan or a similar round pan, making an even layer. Bake at 350 degrees F for 15 minutes or until the shortbread turns a light golden color. Remove from oven and allow to cool in the pan. 3. 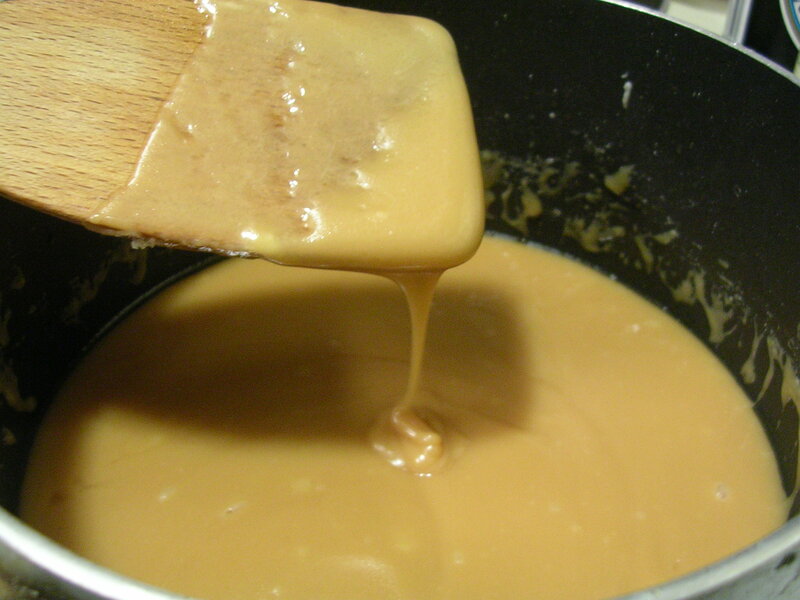 Melt the butter for the caramel layer in a saucepot on medium-low heat. Add the sugar, corn syrup and condensed milk, and stir constantly until the mixture turns from a light cream color to a light brown caramel color (this can take a while, maybe 15-20 minutes for me, see pictures below for color comparison). 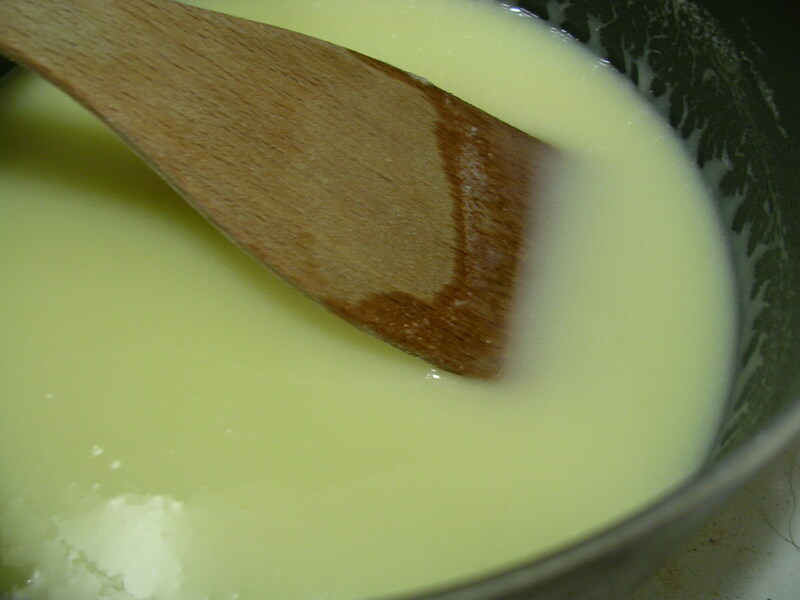 The oil started to separate from the condensed milk towards the end, and I had to give it a good beating to get it nice and smooth again. 4. 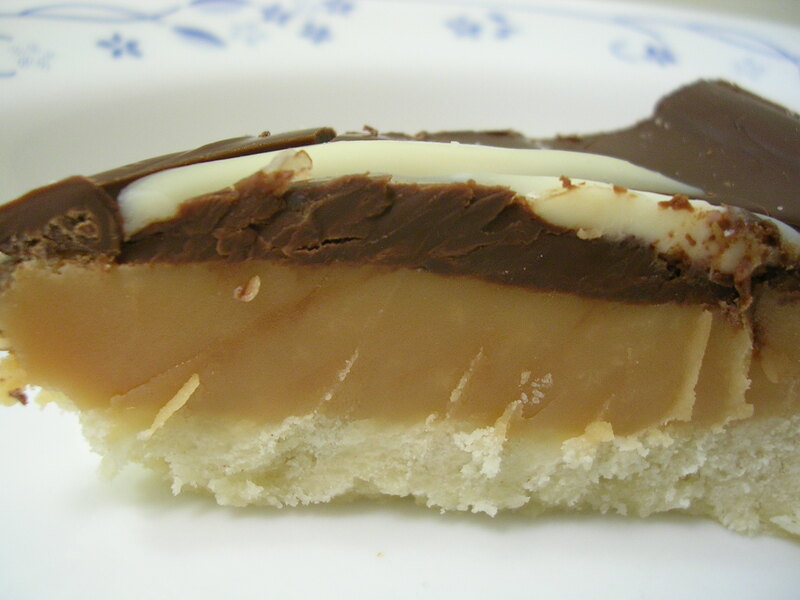 When the caramel filling is ready, pour it over the shortbread layer in the pan and allow to cool and firm up. For me, a little bit of the oil was sitting on top afterwards, which I just wiped off with a paper towel when it had firmed. 5. Melt the chocolate chips in the microwave (about 1-1.5 minutes on high, stirring after each 30 seconds). 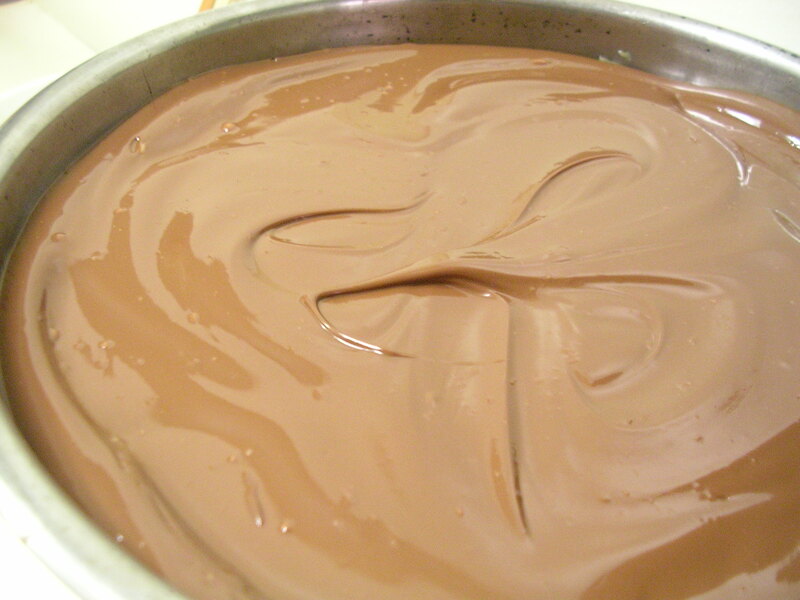 Stir in the vegetable oil to keep the chocolate from getting too brittle when it firms up. Spread the chocolate over the firmed caramel layer, and allow to cool (in the fridge or freezer if you are in a hurry like me). Optional: If you want to do the cream cheese swirls on top like I did, you will want to add the cream cheese before the chocolate firms up. Simply melt the cream cheese in the microwave for 15 -20 seconds on high. Then stir in the condensed milk and vanilla. 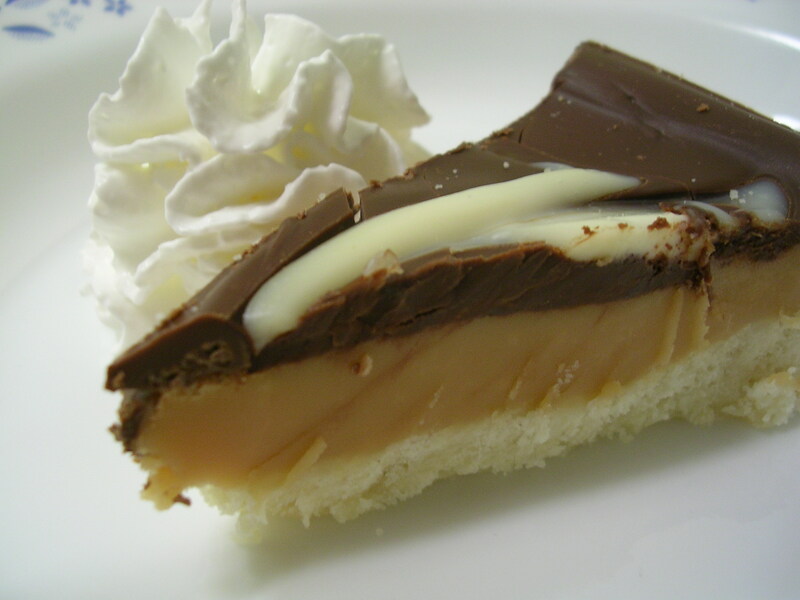 Spoon the cream cheese mixture randomly over the top of the chocolate layer, evenly dotting the surface. 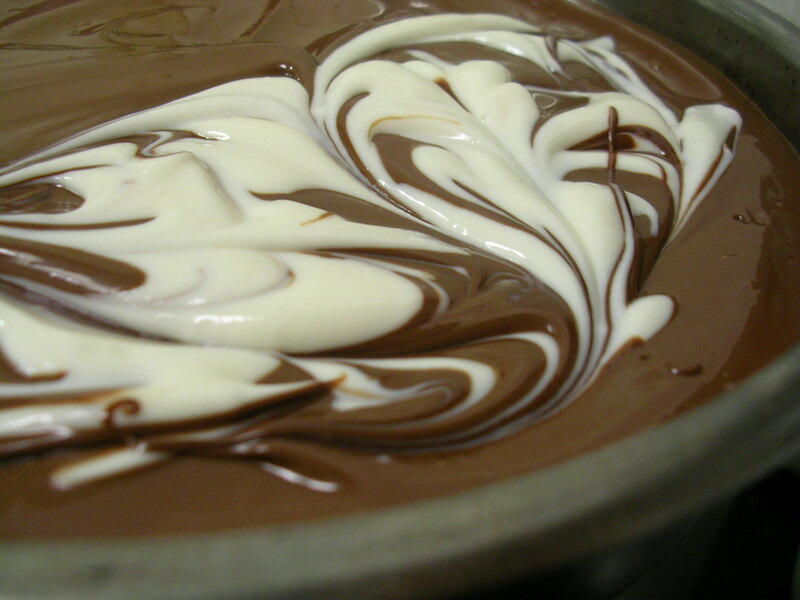 Finally, draw the blade of a knife gently over the cream cheese and chocolate to make swirls. Then allow the whole thing to firm up in the fridge or freezer. I made my millionaire's shortbread in a round pan, so I served it as thin slivers with a dallop of whipped cream on the side. I'm sure it would be a rich addition to ice cream too. The texture seems best when it has had about 10 minutes or so to sit outside of the fridge. Enjoy! This entry was posted on Wednesday, February 6th, 2008 at 5:53 pm	and posted in baking, desserts, recipes, Uncategorized. You can follow any responses to this entry through the RSS 2.0 feed. mmmm…I need to come visit before that gets eaten…. OMG that looks delish! DELISH!!! You're making me drool all over the keyboard! !